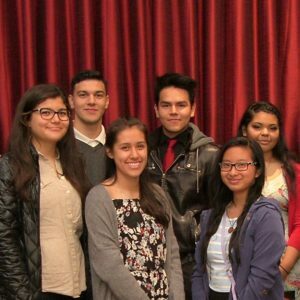 Empowering the youth of San Mateo County to be successful in their employment goals. Learn job preparation skills in a classroom environment. Apply for jobs or an internship in the County of San Mateo. Apply for a scholarship to jumpstart your higher ed. To help youth gain the necessary job skills to be successful in their employment goals. 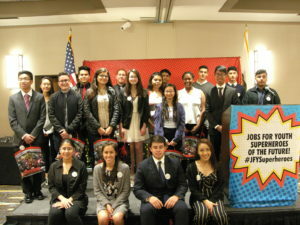 The SMC JFY began in 1982 serving all youth 14-21 years of age who reside in San Mateo County with employment services. Services do not have specific eligibility or income requirements and we serve all youth regardless of socioeconomic or risk level. The program is designed to help youth increase their self-esteem and gain important job seeking skills. The youth will master the job application form, learn to communicate more effectively, gain interviewing skills, receive examples of resumes, cover letters, list of references, and thank you letters/emails to employers. On July 1, 2017, Jobs for Youth moved to San Mateo County Human Resources and we are busy modernizing our program! Jobs for Youth is now mobile, providing employment support while on the go! Search for jobs, internships, and scholarships on the free app, available from the Apps store or Google Play. We are continuing to honor our past as we embrace the future! We are providing Job Preparation Workshops in high schools, libraries, Boys and Girls Clubs throughout our San Mateo County community. In the Job Preparation Workshops, the youth receive one-on-one support with the goal of attaining gainful employment and becoming responsible adults in our community.